That’s right! This is my very first sighting of the actual unit for sale in the Philippines, not even Infomax is carrying it as of the moment. The recently refreshed store E2 Power Gadgets at the Megamall Cyberzone had this in their display shelves with the 16Gb variant priced at just a few pesos shy of 30 thousand. They also have the 32Gb but I didn’t ask how much that one cost. 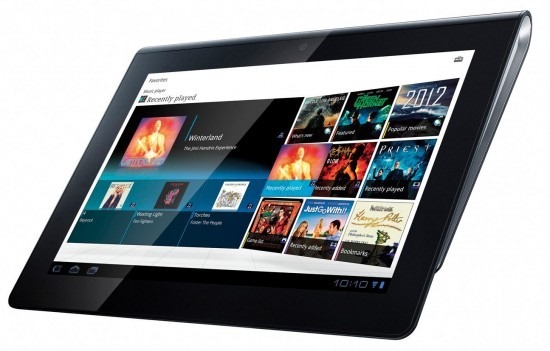 This yet to arrive (if it ever does) Sony tablet is the only one with the Playstation certification among tablets which suggests enhanced compatibility with a number of game titles. The form is unorthodox in such a way that it has its top elevated and screen inclined when placed on to a surface unlike most which remain flat unless supported by a third party object. So if you’re looking to separate yourself from the crowd, this would definitely be a good tablet of choice. The video shows a few UI tweaks that Sony has done that differentiate its operation from the stock Android, this can also potentially mean later updates because of the required tweaks to be done by the software developers. An addition as good as any for your Christmas shopping list. The Samsung Galaxy Note up for reservations!